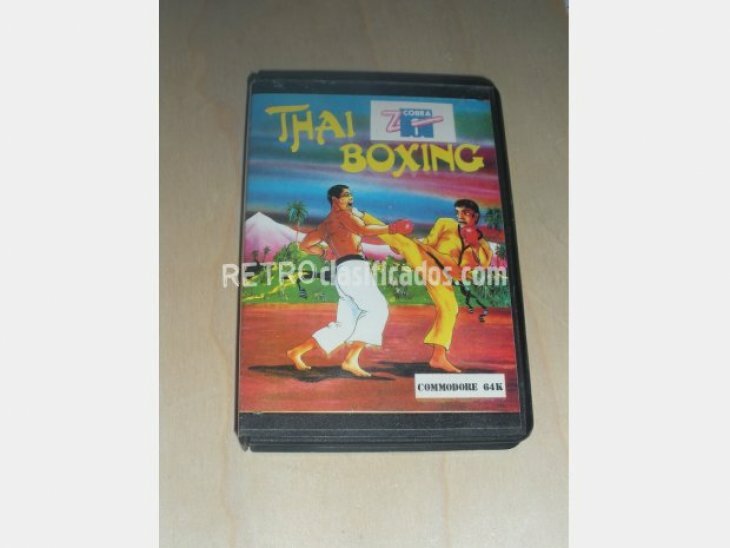 THAI BOXING CAJA ESTUCHE DURO DE COMMODORE.EDICIÓN ESPAÑOLA. SI COMPRAS 2 0 3 JUEGOS,SE TE SUMARÁ AL TOTAL DEL ENVÍO 1 EURO MÁS POR CADA UNO DE ELLOS. A PARTIR DEL 4 JUEGO QUE COMPRES,EL ENVÍO SERÁ DE 7 EUROS INDEPENDIENTEMENTE DE LOS TÍTULOS QUE COMPRES.